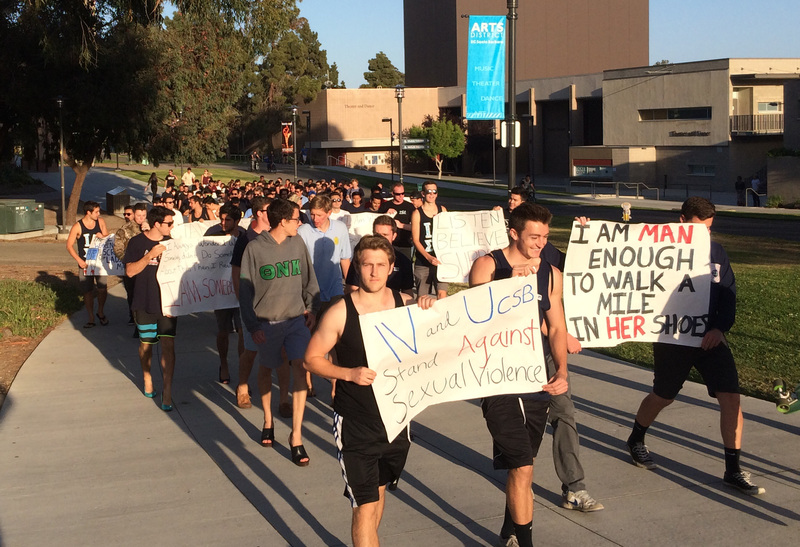 Frat bros walked on their toes to combat sexual violence at UCSB and Isla Vista. Representatives from UCSB fraternities recently wore high heels and paraded through Isla Vista for Walk a Mile in Her Shoes. The event capped off a week that highlighted the problem of sexual violence on college campuses. Hosted by Sigma Pi and Kappa Sigma, a crowd of more than 100 frat brothers and sorority sisters gathered on a recent Friday night at Storke Tower and marched Anisq’Oyo’ Park, chanting “Listen, Believe, Support” along the way and eliciting cheers from onlookers at eateries on Pardall Road.